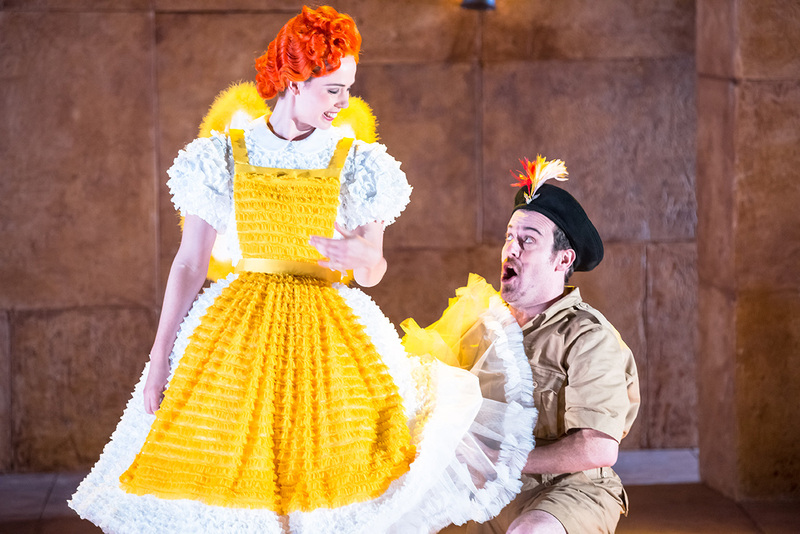 An ingenious concept, slick production values and wonderfully talented performers make Opera Australia’s new Regional Tour The Magic Flute a guaranteed delight for all ages. Read any world article on the current state of opera and there is one constant message: to continue to survive, opera companies must grow their audience base. This new touring production is a boon on so many levels. 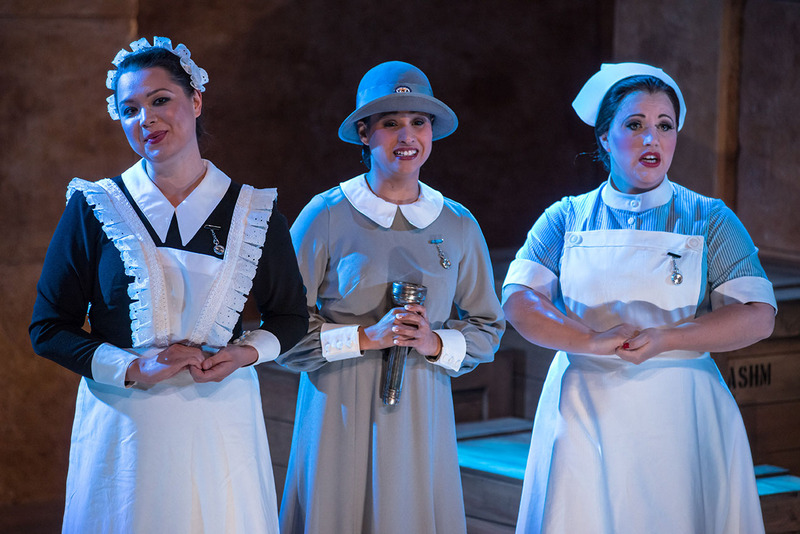 Playing in 26 regional centres this year, with many more to follow in 2015, the tour takes Mozart’s popular opera The Magic Flute and makes it infinitely more accessible with a Raiders of the Lost Ark setting, singing in English and a concise, clear adaptation with plenty of welcome humour. Even better, the launch of Opera Australia’s Regional Children’s Chorus gives 15 children in every location the chance to appear on stage as an integral part of the opera. 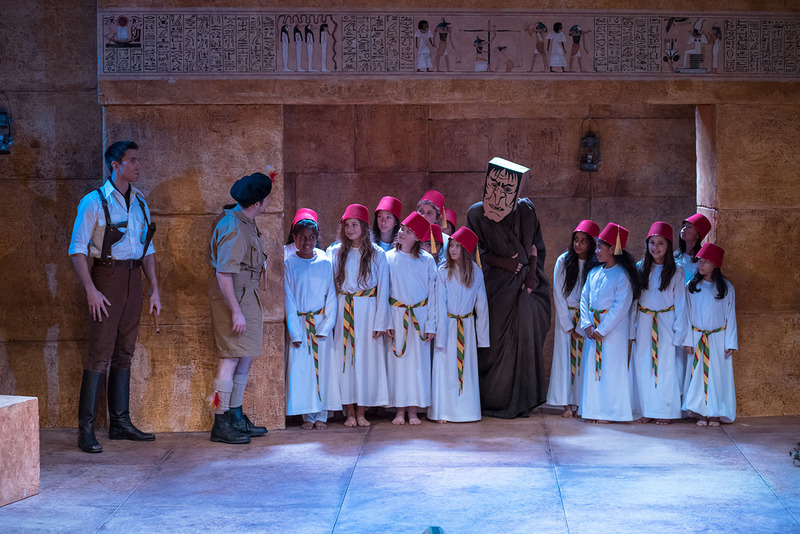 From the moment our dashing hero Tamino enters on the run from a Mummy, it is clear we are in for a fun night. 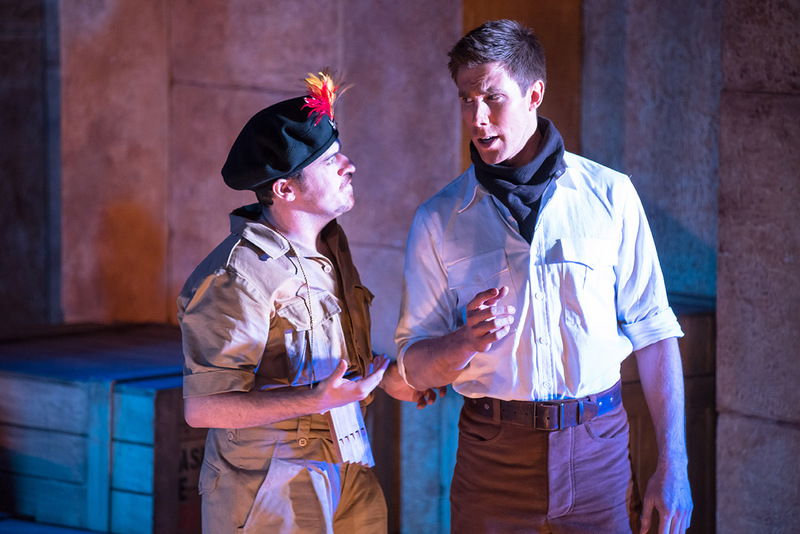 The adaptation, by acclaimed Australian playwright Michael Gow, updates the action to a 1930s Egyptian tomb, complete with a range of mythical spirits and British archeological types. The various threads of the opera are easy to follow thanks to clear delineation of the characters. Frustrated bird catcher Papageno is a weary Aussie who would “kill for a beer,” the Three Ladies are a maid, a schoolgirl and a nurse, and the Queen of the Night is an actual queen, worrying, as queens do, about her daughter. Far from diluting the piece, this neatly balanced merriment serves to lighten the tone and add to the enjoyment of Mozart’s wonderful music. The full opera experience is maintained by the cast of twelve highly talented singers, augmented by the Children’s Chorus, and the live chamber orchestra of nine expert players. Part of the thrill for regional audiences will be the chance to hear the beautiful sound of live, unamplified singing. Thomas Griffith’s excellent musical preparation ensures that diction is pristine, dispensing with the need for surtitles. Chorus master Alex Pringle imbues the children with confidence, poise and the joy of performing. Conductor Simon Kenway leads a nimble, polished performance of Andrew Greene’s carefully reduced orchestrations. Robert Kemp’s design is as attractive as it is clever. A rich, wide setting of gleaming sandstone, trimmed with hieroglyphics and lanterns, houses multiple entrances and levels to support the flow of action. The full scope of the staging belies the fact that this is a touring production, which is to be continually packed, transported and rebuilt. The smooth pale surfaces are a canvas for lighting designer Matt Scott to bathe with vivid colours to create different scenes on the single set. Scott also represents fire and water with great flair. In keeping with Hollywood’s vision of Egypt, the pristine costumes show nary a speck of dust or grit. The perfect fit of design and adaptation show that Kemp and Gow have clearly worked together very closely in developing the production. As director, Gow has kept storytelling crystal clear and has elicited natural, evenly matched performances from the cast. 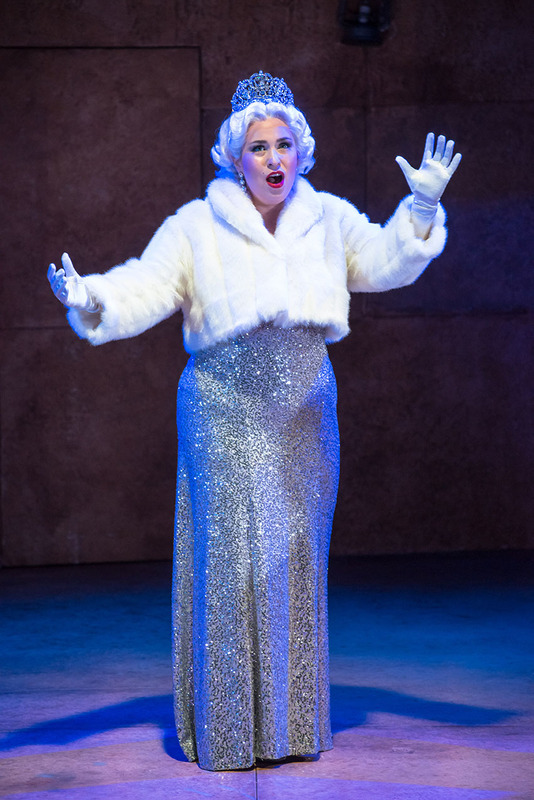 Comedy is deftly underplayed, and scenes such as Tamino’s soundless treatment of Pamina during the test of silence carry an emotional heft. The slightly tweaked happy ending to the opera comes across as entirely fitting given the cheerful, positive spirit of the production. Performance highlights are difficult to pick given the consistent quality of the twelve accomplished singers of the company. Sam Roberts-Smith is a dashing presence as Tamino. Christopher Hillier wins the affection of the crowd with the larrikin humour of Papageno. 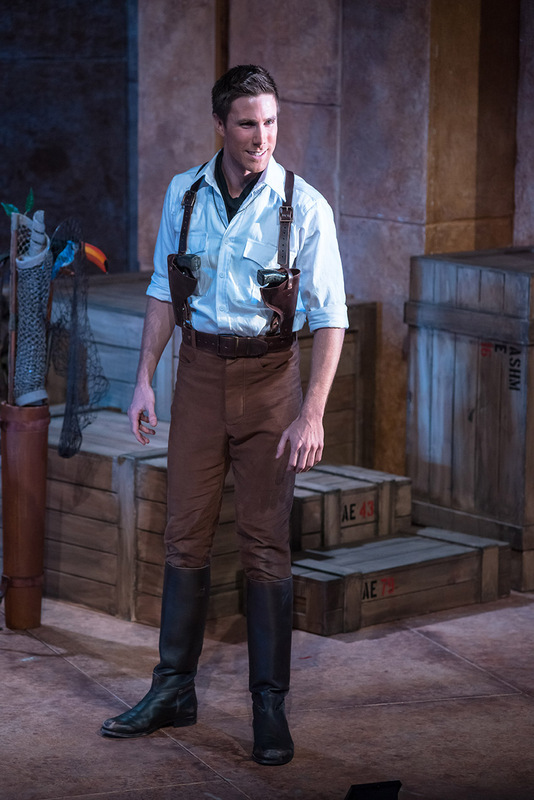 Seasoned performer Steven Gallop brings necessary gravitas to the role of Pamina’s captor, Sarastro. On opening night, children from Yarraman Oaks Primary School acquitted themselves with grace, focus and lovely singing. An ideal family outing, value for The Magic Flute is very high. Ticket prices are comparable to amateur musical productions, and even the lavish program is half the price of those for mainstage productions. Attendance is highly recommended. The Magic Flute plays at Drum Theatre, Dandenong, again this evening before playing 25 other regional centres over the next three months. For full details, click HERE. This review published on Theatre People 12 July 2014.